It claims to offer fast and reliable WiFi to the edge of a home network. Linksys has announced the introduction of Velop, its premier Whole Home WiFi product in India. Velop is the Tri-Band modular WiFi system that can be installed in various mesh configurations providing fast and reliable WiFi to the edge of a home network. Velop is small and each "node" is a powerful Tri-Band AC2200 device that serves as a router, range extender, access point, and bridge. Each node is configured during setup by the accompanying Linksys app (available for iOS and Android), which leverages Bluetooth to securely communicate between the mobile device and each node. 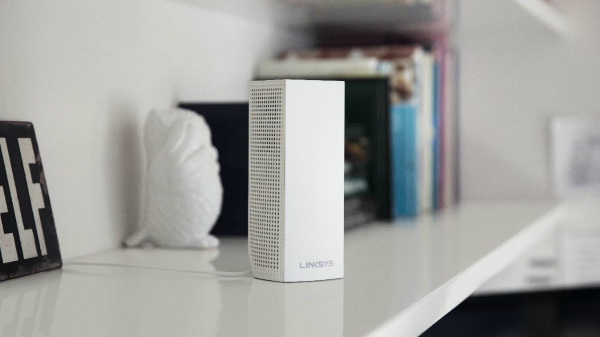 Additionally, Linksys and Trend Micro have partnered to deliver new security features to users of the mesh-enabled Linksys Velop home router. The subscription software service allows Velop Tri-band users to block unwanted content/category and provide an additional layer of digital protection for your connected devices and family. The service will be available at a price of Rs 419 monthly and Rs 4,199 yearly. Velop uses the three radios dynamically to determine the optimal path from the modem and "parent" node to each "child" node to ensure the fastest speeds to all client devices, regardless of which node they are connected to. Dynamic channel scanning algorithms evaluate the unique conditions of the wireless environment to select the best band (either 2.4 GHz or one of the two 5 GHz radios onboard) as well as the channels within each of the bands to improve performance between nodes and client devices. Velop can operate in a number of different mesh topologies and leverage all three radios for inter-node and client communication. Velop can also use an Ethernet connection for inter-node communication to allow all three radios to communicate with clients and help WiFi reach distant locations, such as the basement or the garage. The union of dynamic Tri-Band technology and true mesh configuration makes Velop the only modular Whole Home WiFi system to provide 100% speed at the edge of the network. The Linksys Velop Whole Home WiFi is available at Amazon, and Linksys authored channel partners. Availability for purchase will begin from 2nd April,19. Velop also comes with a 3-year warranty.